I took this photo at my grandparent’s farm in Brazil. 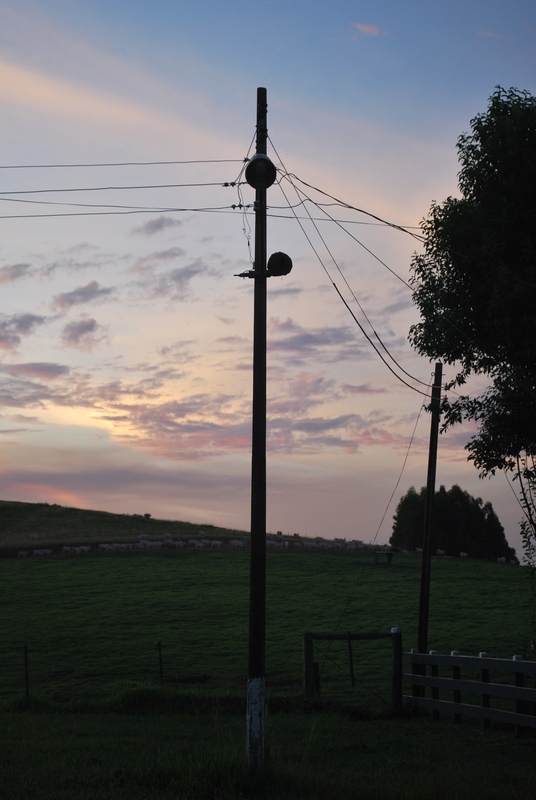 The round object on top of the eletricity pole is a bird’s nest. The Joao-de-barro bird (furnarius rufus) makes his round nest out of mud. Nature never ceases to amaze me. Just perfect. So many people do not see the beauty and form of the utility poles and the wires that criss-cross our skies. But when the sun is going up or going down they create some of the most interesting silhouettes there are. Thanks for sharing this nice shot.